Most new housing developments have garages attached to the houses. These garages provide plenty of conveniences, especially when the weather is cold and wet. However, attached garages will limit the design options for the home and garage. Thus, if you are looking to construct a new garage, spend time thinking about the benefits of detaching the garage from your home. A reputable garage builder like Garage For You, Inc. can also give you more ideas on this. 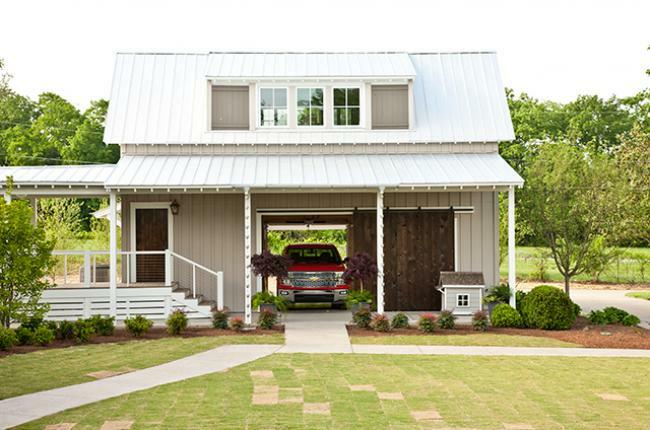 Garages that can accommodate two cars have become the minimum standard and they must be big enough for minivans, SUVs, and big pickups. Garages that can accommodate at least three cars are becoming more popular in high-end developments and a lot of real estate agents will say that they can be a positive selling point. In recent years, homes are constructed with a large garage facing the street, attached to the house’s side. Entry to the home requires touring the utility or laundry room, usually passing a small bathroom. But, while this layout can save you money, cutting costs in the main entrance may not be a smart choice to make. A mudroom with a nice design, good storage, and a place to sit tends to be more useful and welcoming. Designing a simple garage which can be attached to a house is easy without looking overly dominant. However, it may be difficult to create a living space above the garage. The garage’s combined wall height and a full-size space above it will make it important for the roofline to be higher than that of the house. However, creating a living space above a garage is an economical way to make a new home office, rental space, or media room. This is an option that can be achieved more easily with a detached garage. If you are looking to add living space above the attached garage, the distance between the garage ceiling and the top of the door should be kept closer to twelve inches than the usual 18 inches.